Trio d’amis. Friends and former classmates from Boston University and the Longy School of Music, they decided to get together one day in the Summer of 2010 to barbecue, play chamber music, and have fun making music. Thoroughly enjoying each others’ company and musicianship, they continued forth working together professionally. 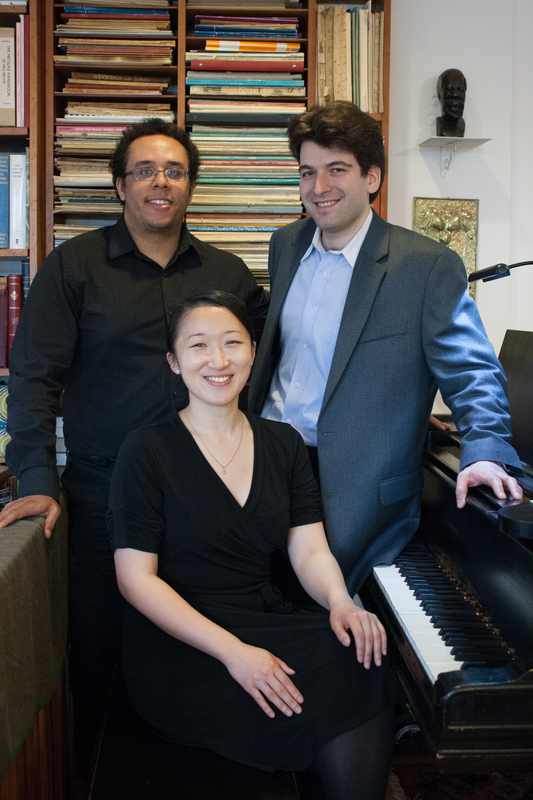 All enthusiasts of new music, the quartet strives to perform new works alongside the classics, developing engaging, non-traditional programs and creating refreshing listening experiences for audiences. We aim to give new meaning to the concert-goer’s experience. With refreshing, unusual programming, enthusiastic and highly skilled musicians, we strive to create a new listening experience by incorporating new music alongside the classics. For a taste of what we do, here’s a recording of Seven Short Forms for violin, viola, cello, and piano by the composer Timothy Dusenbury. We had the privilege of collaborating with Mr. Dusenbury on this new work. All of us are dedicated music educators. Aside from performing concerts, another way for us to spread the joy of music is with students and children.